Since my brother (Ba Boon) and I moved to Brussels this year, we were keen on making new friends and to discover the nightlife in the big city. I’ve gone out on Fridays and Saturdays and even on Thursdays but doing an afterwork on a Wednesday is new to me. 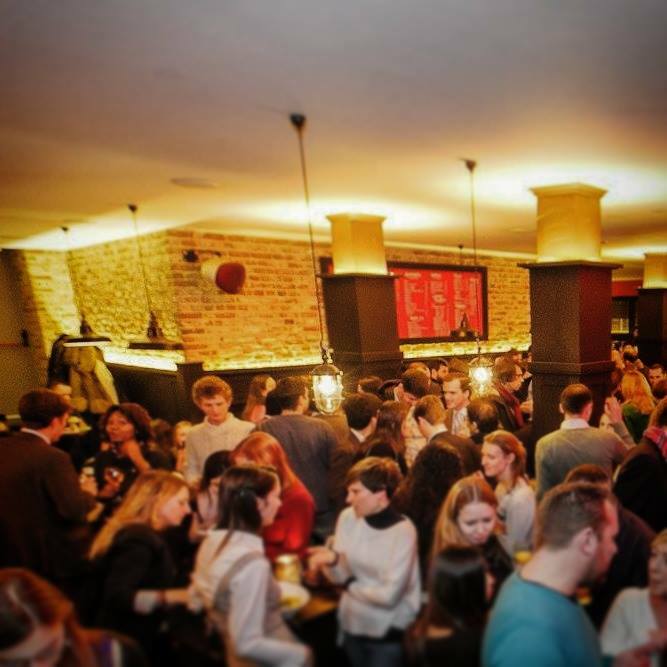 We’ve been going to the expat afterwork in “The Loft” where everyone’s welcome: expats, locals and newcomers in town. The Loft is actually a restaurant and bar in a chic industrial setting. We’ve discovered all kinds of home made burgers and Irish meat and they’re getting a good review from me. But the last time I was there, I wanted a light meal cause my bro and our friends who tagged along all ordered meat and I figured they wouldn’t finish the 300 gram they’ve each ordered. And so I ordered a girly meal: a salad with brie. What was unexpected was how good that meal was. It was so good, I didn’t care for my bro’s or my friends’ steaks nor have I taken a picture. The salad with apple was with honey dressing and there were toasts and prosciutto on the side but my discovery of the night: fried brie! Eat all of that together and you get a yummy meal. We’ll probably do some other afterwork next year but since we still fit in the “newcomers” category, I’ll happily continue ordering new meals from “The Loft”.